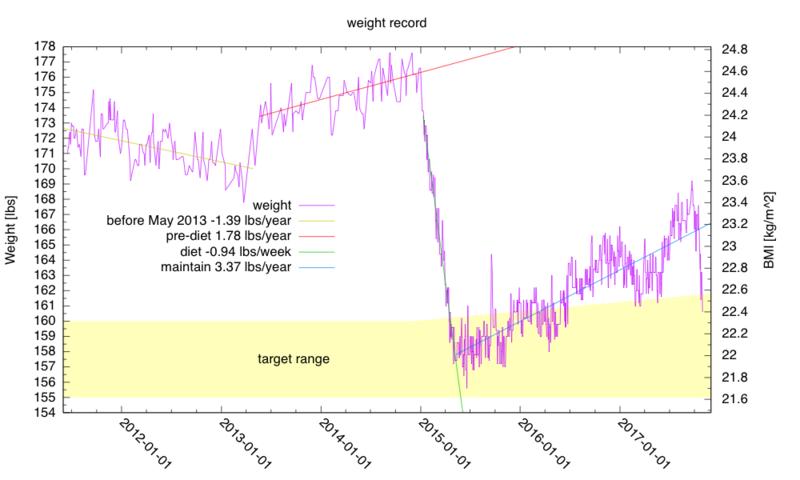 My weight has finally gotten back within my self-imposed target region. 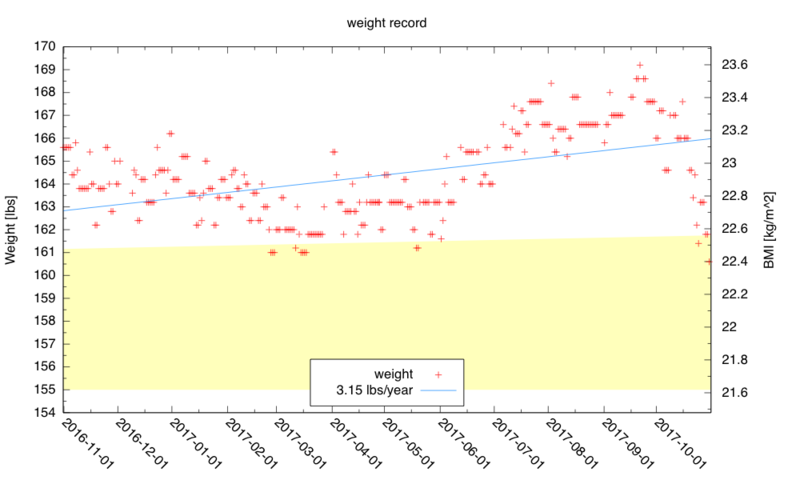 The recent rapid drop is probably due to the Mechatronics class—I have to bicycle up to campus almost daily, and I spend the day in the lab without eating. The month of October had me riding an average of 5.23 miles a day. I’ll probably keep up almost this level through November, but my trips to campus will drop in December, but come back up in January. Incidentally my cholesterol level is essentially unchanged several months after switching from 40mg atorvastatin to 20mg rosuvastatin—my HDL/LDL ratio may be slightly better, but that is probably just noise in the measurements.